A marketplace for elite artists, selling their designs transformed into beautifully crafted products. 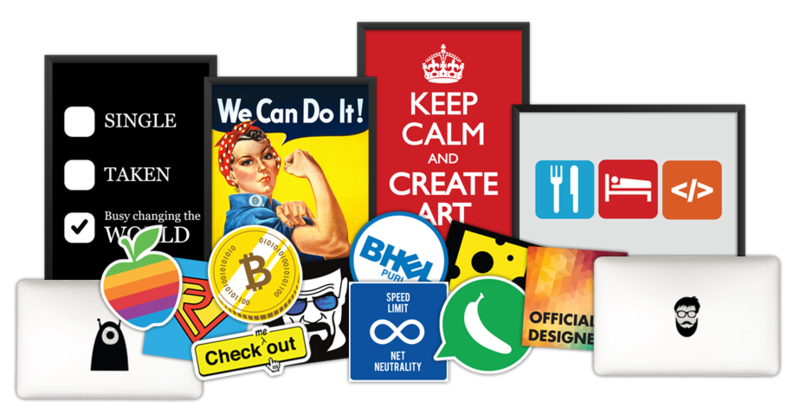 Welcome to Juststickers.in, a marketplace that helps elite artists reach amazing audiences and sell their art. We convert your designs into a variety of beautifully crafted products, provide a platform for the right audience to explore and buy those products. We manage everything from production, shipping to the customers and ongoing customer service, giving you more time to create epic artwork. Our mission is to provide really amazing products and experiences for people. Let's do it together.